Flowerby for the Passerby — Geoff Howell Studio Inc. Flowers are in bloom in gardens across the globe, and, in Bloomingdales! Kenzo's new fragrance FLOWERBY manages to convey the delicate aroma of poppies. 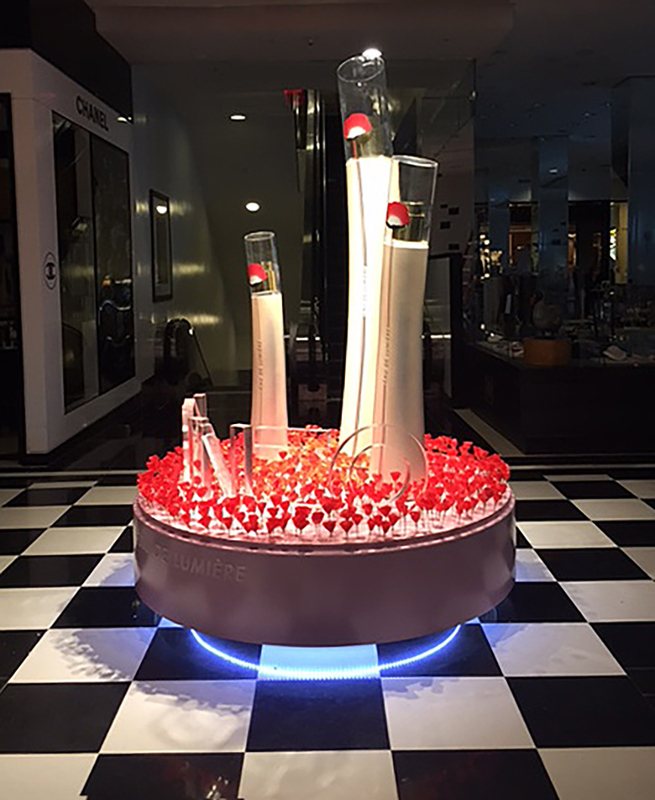 Here we see our custom made displays featuring large sculpted perfume bottles, pink plinths, rotating plinths, large lucite 3d letters and large format graphics. The display really Poppies!